Experiencing wildlife later in the day is an attractive thing for many people. Shy creatures such as owls or wildcats make an appearance. Swarovski SLC 8x56 Binocular 58253 impresses with a optimized optical system for night use and comfort that prevents fatigue. 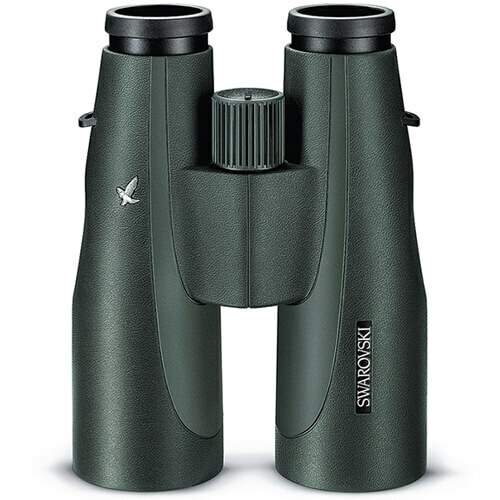 With the high-luminosity SLC 8x56 model, you will benefit from binoculars that offer exceptionally high transmission and you will be thrilled by the outstanding edge-to-edge sharpness and a large field of view. The extended depressions for improved grip and the balanced weight ensure maximum comfort when using them. Dimensions: 7.64 x 5.5 x 2.87"
Close Focus Range: 12.8 ft.